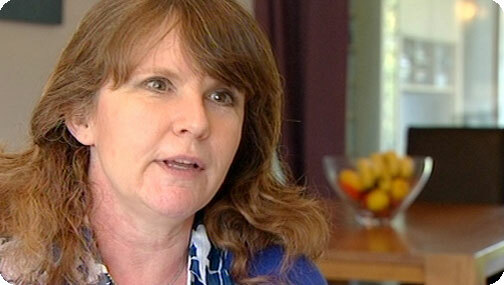 Photography student, Emma is 45 and loves cooking for her husband and children. She uses top, organic ingredients and nearly all her food is home cooked – so where is she going wrong? It could be all the double cream and butter she uses when she’s cooking! She admits to having at least four packs of butter in the fridge at any time (and we won’t mention the stash of Green and Black’s chocolate!) but, she doesn’t want to give the butter up because she thinks it will mean a compromise on taste. ‘It does contain lots of lovely, good fish and hard-boiled eggs and some vegetables and then I lather double cream over it.’ Over a pint, in fact! The topping is mashed potato with even more double cream and butter – half a block of butter. Then, over the top of that, she adds olive oil. And, as this isn’t an occasional treat but a family favourite, it features in her menu regularly. The creamy mash also features in another of her downfall dishes – Ox Cheek Stew with Mash which contains a massive 81 grams of fat! Gizzi said she wanted to have a really good look round Emma’s kitchen to see if she could find some evidence. Emma said she might! The first place Gizzi stopped at was the fridge and the first thing Gizzi saw was Emma’s stash of chocolate – 15 bars in fact! Then there was a bit of butter – well, ten packs that is. Of course, there was also the ‘vats’ of double cream. Just one of the pots of cream in Emma’s fridge contains 285 grams of fat! The first dish for Gizzi to tackle was the Rocky Road squares. Emma has been known to actually miss a meal so she can have a fix! ‘How can you cook with no butter!’ wiping her brow! Gizzi told Emma that she had a bit of a secret ingredient up her sleeve. There were some funny shaped items on the worktop – they were roasted sweet potatoes. Gizzi said they would add extra sweetness and extra moisture to the finished article. She scooped out the centres to use in the recipe. And, of course, the Turkish Delight is low in fat and calories. Emma’s homemade Rocky Road Squares, although delicious, come in at a massive 666 calories per portion. 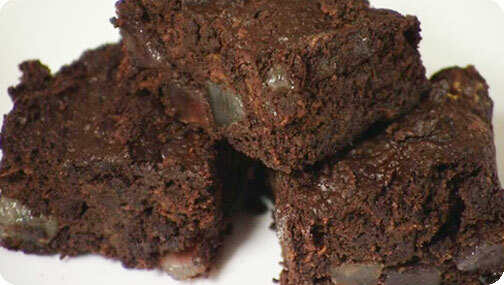 Gizzi’s sticky, homemade Turkish Delight Brownies come in at just 328 calories per portion. Half the calories! Gizzi asked if she could taste the sweet potato and if the brownie tasted like a healthy one. Emma said no, it tasted absolutely wicked and really bad for you! But, to lose weight and tone up, we need to burn calories and get moving! Unfortunately, as well as her dislike for exercise, she also spends a lot of time at her desk in front of the computer. But, she could do a desk based workout and fit it into her day. Leg Extension – Lift your legs from the knees, just like doing the Can Can! Just by doing these exercises at her desk, Emma could burn 100 calories in ten minutes! If she did it daily for a year, she could burn off more than a stone! Gizzi told Emma she was going to do a really, rich aromatic beef stew and, instead of the Ox Cheeks that Emma normally uses, Gizzi told Emma she was going to use Beef Shin. It’s a leaner cut but still great for a slow-cooked stew. For the base of the stew, Gizzi used onions for the savouriness, carrots for the sweetness and celery to give it depth. The ingredient missing this time was the potatoes. Gizzi explained to Emma that the potato is a really high carb vegetable which, in turn makes it quite calorific. But, it didn’t mean Gizzi wasn’t going to give Emma her mash – it was going to be a root vegetable mash instead. Gizzi used celeriac, swede and turnip. And, to give Emma her creaminess, Gizzi cooked the veggies in milk rather than water. Gizzi also used a small amount of the milk that was used to cook the veggies to help make the mash smoother. She also used a touch of grated nutmeg to warm it all up. 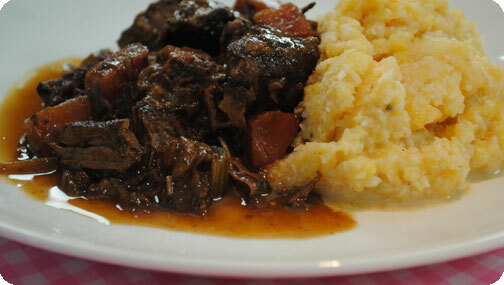 Emma’s Ox Cheek Stew and Creamy Mash came in at a humungous 1449 calories per portion. Gizzi’s Rich Aromatic Beef Stew with Root Vegetable Mash comes in at a much more deLITEful 476 calories per portion. Almost 1000 calories less in one fell swoop! First, Gizzi had a shock for Emma. She told Emma that there was the same amount of fat in her fish pie as there is in 138 iced party ring biscuits! Emma was definitely shocked and took a sharp intake of breath. Gizzi said she thought it was time for Emma to try something that was just as indulgent and delicious but with a lot less fat – this writer definitely agrees there! Gizzi was going to show Emma how to make her Pink Prawn and Crab Open Lasagne. Emma looked intrigued. The base of the lasagne was a rich prawn sauce with a ‘good lug’ of brandy and she used low fat crème fraiche to make it nice and creamy for Emma – all the flavour but none of the fat! Emma’s Creamy Fish Pie clocked up a massive 31 grams of fat per portion. 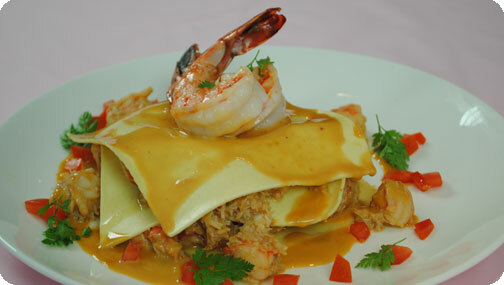 Gizzi’s Pink Prawn and Crab Open Lasagne had a mere 14.4 grams of fat – less than half! ‘I think with you, it has been the cooking techniques.’ She went on to say that Emma didn’t have to get rid of her buttery, creamy mash all together but to keep it for a really special treat. To help Emma pack bags of flavour into her food, Gizzi presented her with an herb saver to help Emma keep her herbs fresh for ages in the fridge. She told Emma that every time Emma felt the urge to reach for the cream, she wanted her to reach for the Herb Saver instead. If Emma changes her fatty recipes for Gizzi’s new, lower fat, lower calorie ones and does her desk workout five times a week, she could lose 2½ stone in just six months! Now that is how you cook yourself thin!